My project was instigated by finding out I had a radon level in my basement of 10.9. That was due to a 12 x 12 area of exposed earth in my 123 year-old home. I used this problem to fix a couple of other problems in this basement. I was able to make better use of this area for storage and was able to correct some structural issues; so your project will probably be a lot easier than mine. 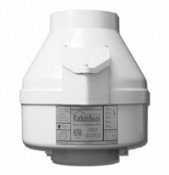 I started out by checking out radon systems on the internet and was fortunate to find Val Riedman at indoor-air-health-advisor.com. This guy is great to work with. He personally answers the phone and you can call him at any reasonable hour and he is likely to answer. When you place your order, it is packed and shipped the same or next day and you receive it shortly thereafter. I explained my problem and he made some suggestions and taught me some principles for radon mitigation. Later I emailed him some drawings and photos and he emailed me back. There is no charge for the advice but he appreciates it if you buy your supplies from him, which I was glad to do. After talking to Val, I planned my system and started the arduous process of digging out part of this exposed area. Digging out took a while because, while it was not a large area and the top half of it was fairly loose dirt, the bottom half was tightly-packed clay. There were several reasons I decided to dig this out. 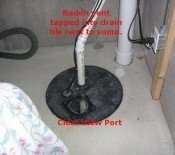 First, in order to make a radon system work, you need to have either loose dirt or, preferably, gravel under the slab so the radon can be extracted from it with a radon fan. I had neither so I had to make an area to extract it from. 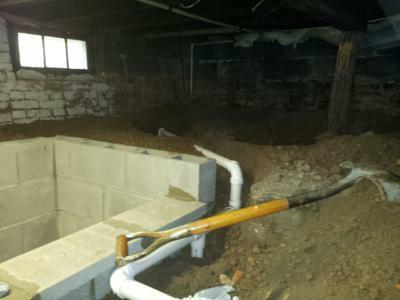 Some of the original basement of the house had been dug out sometime after the house was built but parts of it were still at crawl space height when we moved in 11 years ago. 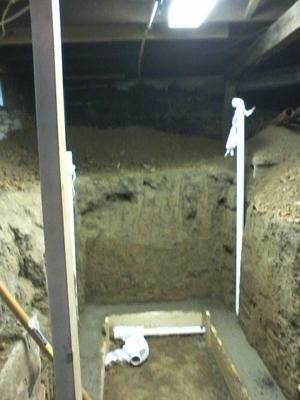 In the area where the earth was exposed, there was a lower section that had been dug out and concreted over for a furnace and water heater but the rest was still a crawl space about 4 1/2 feet high. We used it for storage but it wasn't level and it was hard to access. I decided to dig an access area into this raised area and build some retaining walls to support the old foundation walls. I also needed to replace a beam and a tree trunk that was acting as a column. 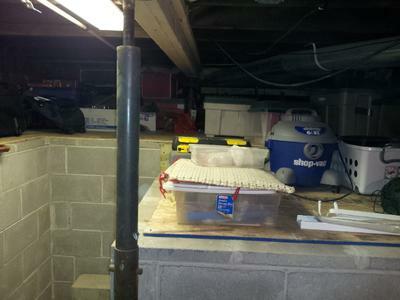 Because my slab only had hard clay under it, I had no good place from which to extract the radon so by building retaining walls in the basement and regrading with gravel, I was able to install pipes which allowed me to extract the radon with a radon fan. In order to make this a functioning radon system, I had to put some collection pipes in some gravel. I had two places where I could put gravel; under the slab in the access area and on top of the dirt that I was leaving behind the retaining walls. The one in the access area is the lowest spot so it is likely going to collect most of the radon, since it is 9 times heavier than air, but the upper section will also collect some. My basement originally had a reading of 10.9. After I installed the gravel and polyethylene sheeting and sealed it to the retaining walls, it dropped to 5.3. When I turned the fan on, it dropped to 1.9. And now I also have a better structure and a better, more easily accessible storage area.